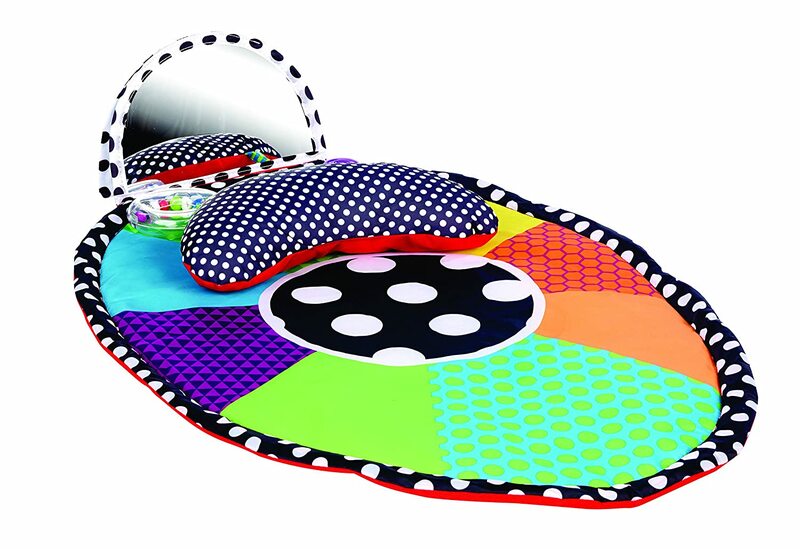 This lightweight playmat is perfect for tummy time with contrasting colors, large discovery mirror, and a cushioned bolster to provide safe and steady support. 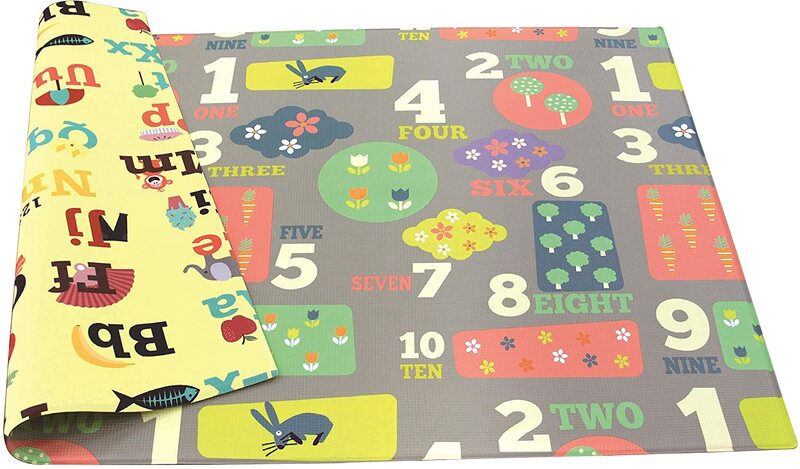 The high contrast, simple patterns for newborns and vivid colors for young babies enhance developing visual skills. 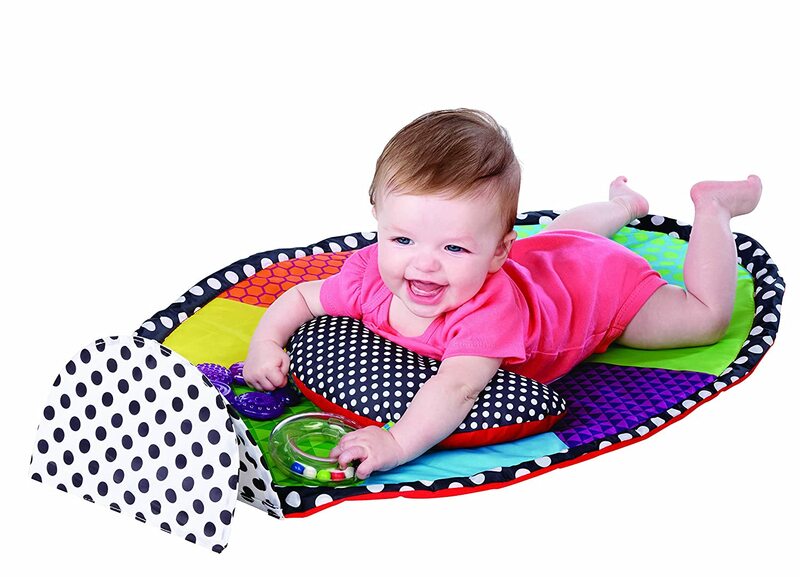 The cushioned bolster encourages tummy time play, helping to strengthen baby's neck, back, and trunk muscles. From birth, baby's love to focus on the human face, which is encouraged with the mirror. Plus, the teether and rattle ring detach for play anywhere, anytime. Mat is machine washable. This is an excellent product for the value. 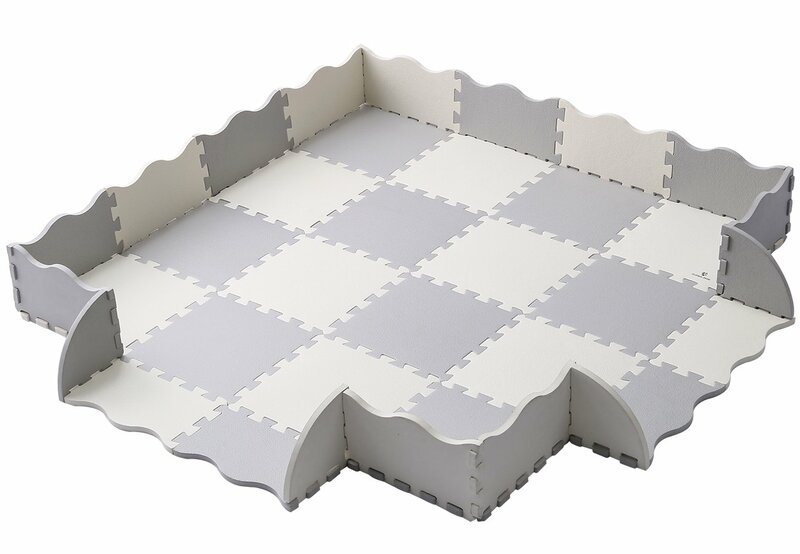 The mat's not huge, so you don't need a giant chunk of free floor space like you do with some playgyms. Our little guy HATES tummy time, so I was a bit skeptical, but I wanted something that might help him endure a little more tummy time than he was previously getting. The wedge definitely helps with that. It's sized exactly right for our 4 month old, and really helps him hold himself up without quite as much strain. He loves the mirror (and all mirrors), so that's a great option for distracting him from the fact that he's on his belly. He doesn't care much for most toys, and has no interest in the little ring with rattly balls in it, but he loves the purple teether. It's really simple, just squishy molded plastic, but it's one of his favorite things to bite, and he seems to enjoy seeing how much of it he can fit into his mouth at once. 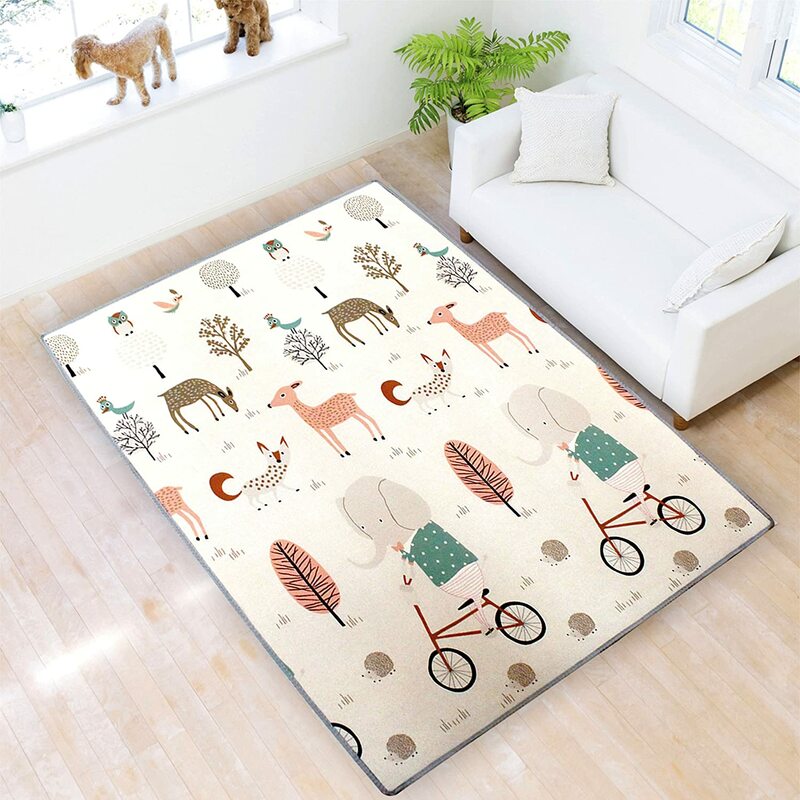 Perfect for Baby until they start rolling. Love the bright colors and cost!! 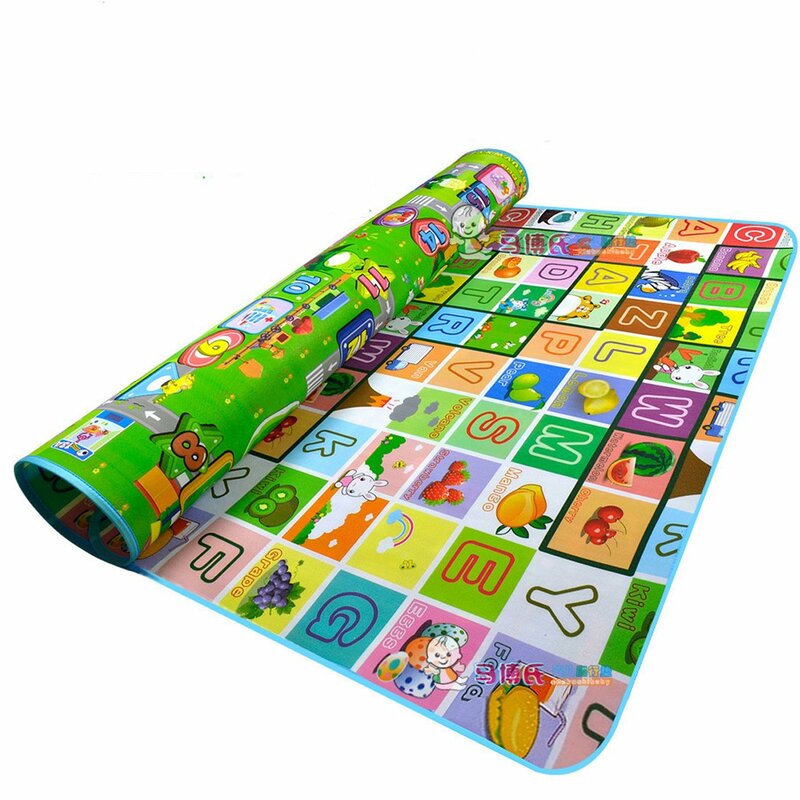 My son loves this product, makes tummy time not such a dreadful experience. Disappointed! This is so colorful and bright but the material is slippery. I thought it would be soft and nice for a baby to touch. Seems cheap. What a piece of crap. My son slides all over, because of the satiny material. The mirror looks like a fun house mirror and doesn't stand up correctly. Urgg! Wish I did more research! wish the pillow was bigger and more comfortable but not bad for the price. the teething toys are great tho! Really cute. Love the bright colors. 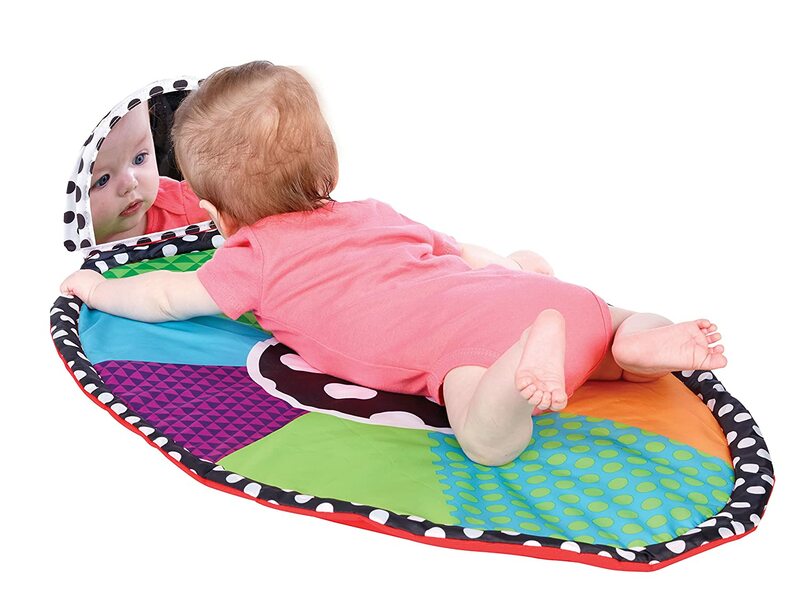 The mirror is great for tummy time but need some work, it falls over very easily. The pillow needs some velcro on it because it just slides around.